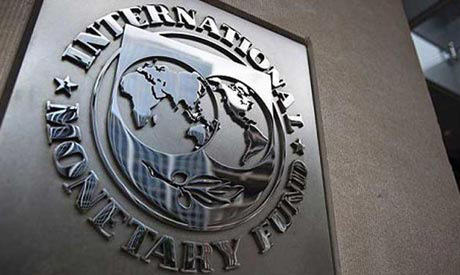 The International Monetary Fund (IMF) has kept a forecast for Egypt's economic growth rate during the current and next fiscal years at 5.5% and 5.9% respectively. This came in a report released on Tuesday on the fringe of the spring meetings of the IMF and World Bank in Washington, under the title of "World Economic Outlook." The fund expected Egypt's inflation rate to register 12.8% by the end of the FY 2018/19 and 10.7% in 2019/20. The IMF expected the inflation rate to hit 6.9% in the FY 2023/24. The fund has maintained its forecast for the unemployment rate at 9.6% in the current fiscal year and 8.3% in the next fiscal year. The IMF hailed the significant improvement in the country's macroeconomy since the implementation of the economic reform program in November 2016. Meanwhile, it has lauded the significant improvement in Egypt's macro-economy since the start of the economic reform program in November, 2016. The report highlighted that the good economic indicators were driven by several measures adopted by the Egyptian government including the liberalisation of the exchange rate, good monetary policies and proceeding with the efforts meant to control the public finances. The IMF said Egypt's GDP accelerated from 4.2% during the 2016-2017 fiscal year to 5.3% in 2017-2018, expecting it to hit 5.9% in 2019-2020. The IMF forecast Egypt’s economy would grow 5.5 percent this year and 5.9 percent in the next year.